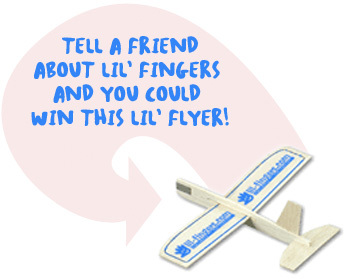 Lil' Fingers Storybooks: Win a Lil' Fingers Airplane! Note: We never sell e-mails. Friends will be sent a 1 time message.